Whether you need Bobcat hire or positrack hire from Campbelltown to Liverpool the team at DJK Excavations can help. If you are looking at hiring a bobcat or positrack for your next bulk earthworks or earthmoving project, turn to the team at DJK Excavations. With our skilled operators that have over 15 years of experience in the landscaping and construction industries, the team at DJK Excavations are ready to tackle any job. No matter the type of project you have, be it residential, civil or construction, our Cat 259D bobcat can handle anything from the smallest of garden maintenance jobs through to roadway construction and bulk earthmoving. 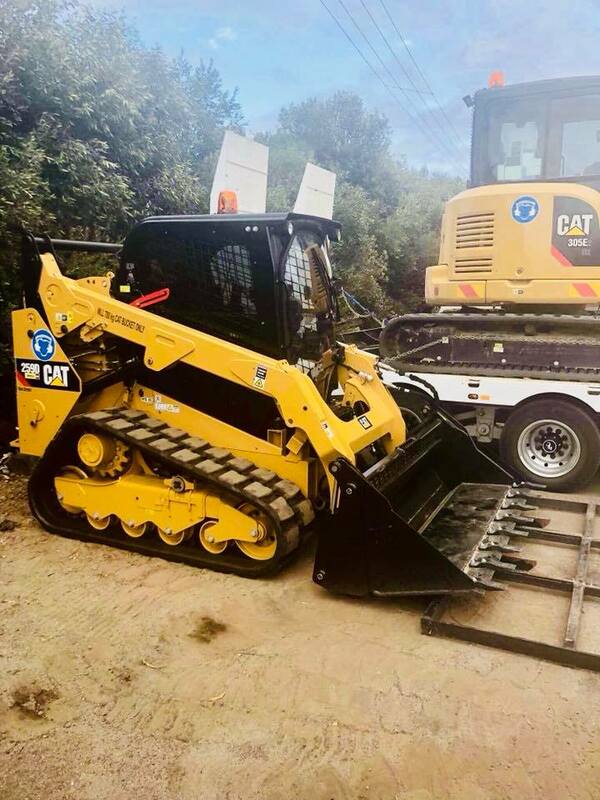 All of the machinery that we have here at DJK Excavation are of the highest quality and are serviced regularly to ensure that your project isn’t disrupted by unexpected downtime due to machinery malfunction or breakdown. Our Cat 259D Positrack is a 2017 model that can lift up to 2600kg. Ideal for a variety of bulk earth moving tasks including driveway preparation, site levelling, drainage construction, footing construction, pool excavations and civil works, our positrack can handle any job with ease. Here at DJK Excavations we also have a range of attachments available for hire that increase the functionality of our bobcat and allow it to perform a wider range of jobs. These attachments come at an additional cost and include a spreader bar, forks and broom. From our depot in Spring Farm, New South Wales, we provide levelling, soil removal, concreting, drainage, trenching and pool excavation services to Liverpool, Campbelltown, South Sydney, and greater Sydney. We will travel up to a 100km to supply quality bobcat hire services. Contact the team at DJK Excavations for an obligation free quote on your next major earthmoving project. Reach out to us for your quality landscaping, bulk and detailed earthworks needs from Spring Farm to Sydney.